I took two white styrofoam cones and covered them in ribbon, bakers twine, waxed cotton ribbon and candies. These Trees are fun and whimsical. I placed each one on top of some glass candlesticks. 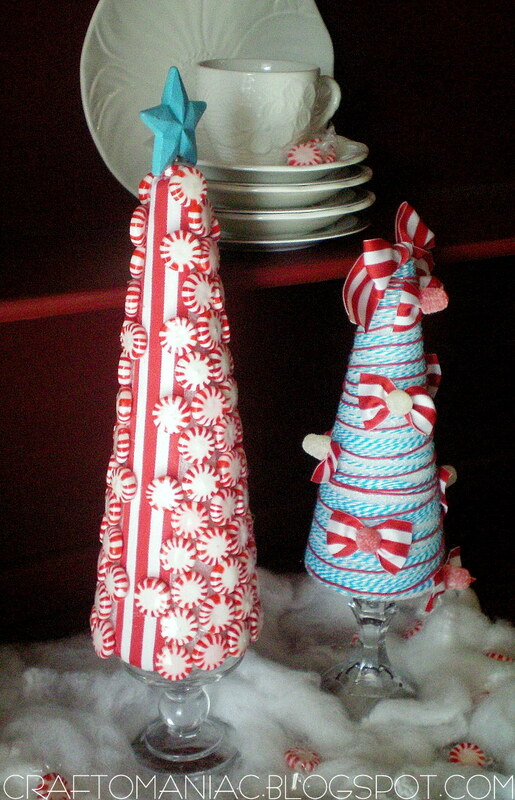 To make the red and white bows, I cut fabric to size, twisted them and used push pins to push them into the styrofoam cone. I then used my hot glue gun to glue spice drops over them. 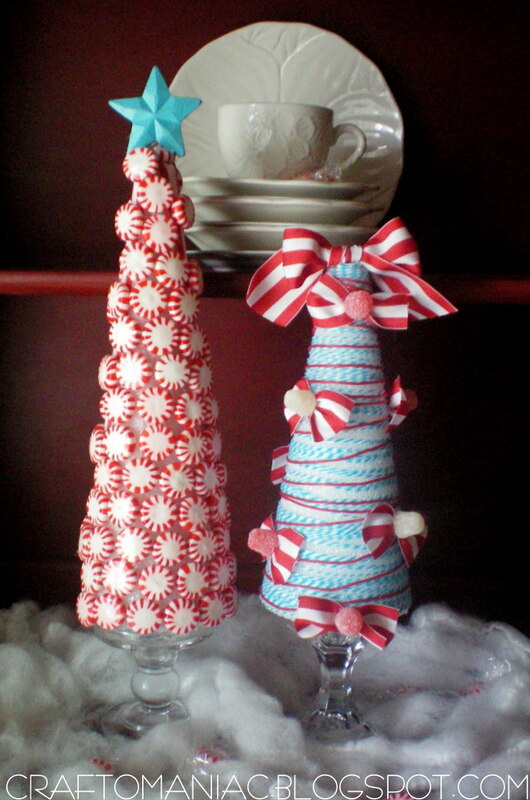 The other ribbon and peppermint candies were also glued to the cone with a hot glue gun. 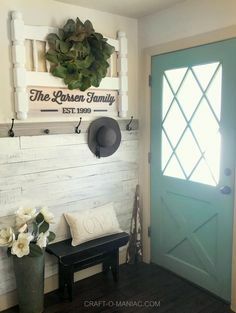 A fun craft, and not to time consuming. Are you DECKING THE HALLS, OR PREPARING FOR THE DECKING? FA LA LA LA LA… LA LA LA LA! Jen, these are adorable and the colors are fab!! I’ve barely thought of Christmas but this is getting me there. So cute! I really need to get Christmas crafting! I love these Jen, they’re so cute! 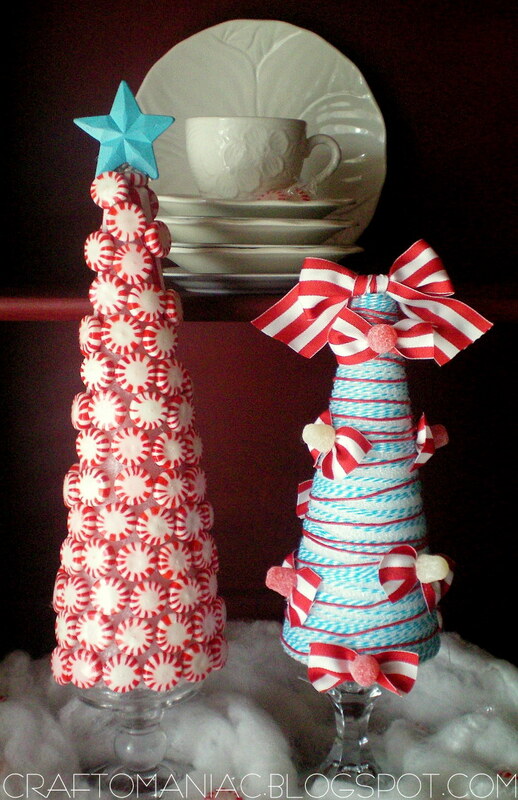 I love that you gave these trees a whimsical feel…and not time consuming either. Love them. OMG, these are so fun!! I have a thing for trees! Please share these on our Christmas ornament or gift for $10 or less blog hop!! 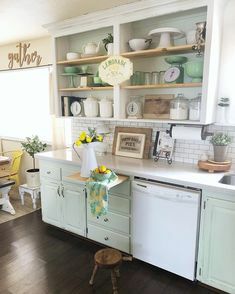 These are cute…love the colors. I’m barely even thinking about decking! With the new puppy, I don’t think I can put up a tree or have presents under one! I love this idea… My daughter would love to make these. 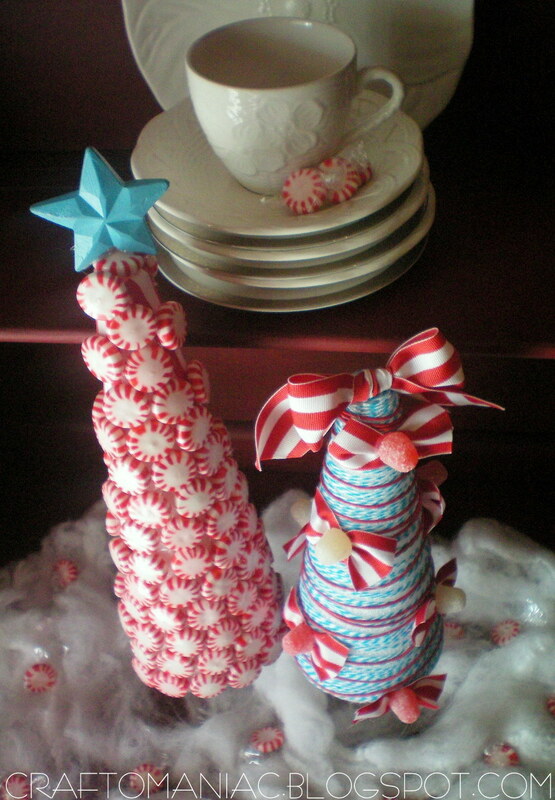 Now if I can only keep the boy’s from eating all the candy off the tree… Any suggestions? These are beautiful. 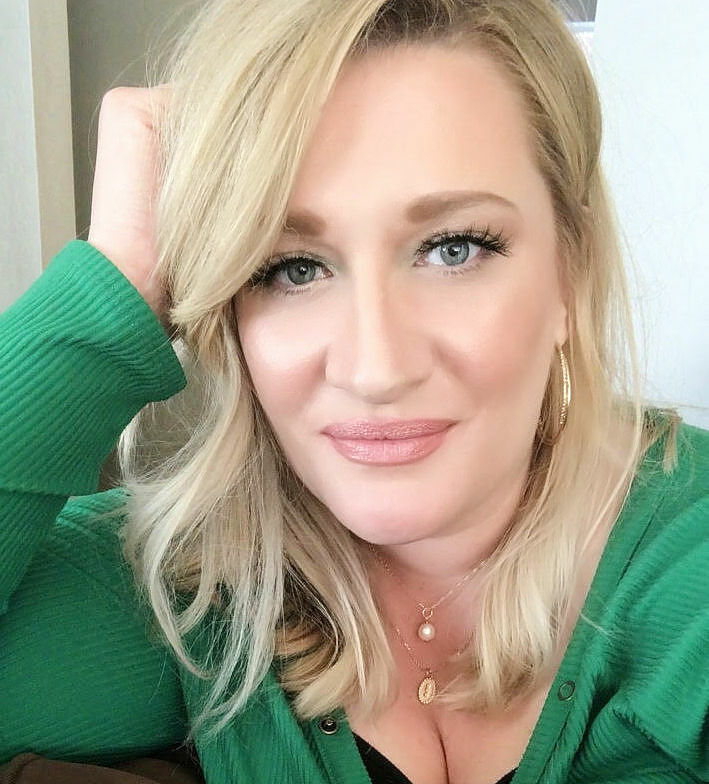 Would love for you to stop by and link up to More the Merrier Monday. These are so cute! I love the red and blue together! These are so cute. 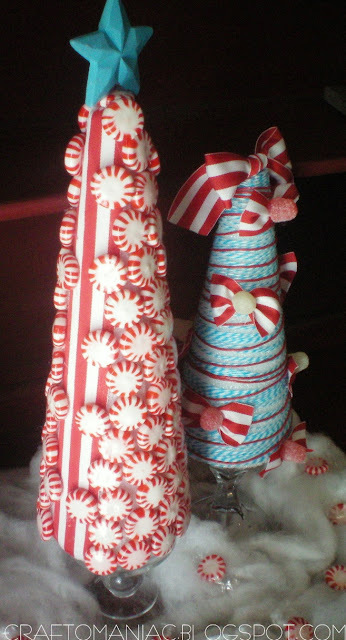 I’ve been looking for candy Christmas trees to make with my kids, but never thought of adding ribbon too.